On the 26th March 2019 Bloomberg Businessweek published an article entitled, "The World’s Cheapest Hospital has to Get Even Cheaper”, which describes one of India’s largest private hospital chain's - Narayana Health - response to Modicare, a signature initiative by Prime Minister Narendra Modi to provide basic healthcare for 500m of India’s poorest. Devi Shetty, a world-renowned cardiac surgeon and chairman of Narayana Health, is up for the task. Since Shetty founded Narayana in 2000 it has grown to become a large multi-speciality hospital chain, comprising 31 state-of-the-art tertiary hospitals across 19 cities, employing 16,000 and each year treating over 2.5m patients across more than 30 medical specialities. Shetty’s mission is to provide high quality, affordable healthcare services to the broader population in India and he is convinced that quality and low-cost healthcare are not mutually exclusive. In conjunction with the state of Karnataka, Shetty has created a health insurance plan, which has enrolled some 3m poor people at an annual premium of about US$2.6. More than half of Narayana’s cardiac operations are performed on patients too poor to afford the full cost. In addition to the insurance scheme free or subsidized inpatient care is achieved through philanthropy and a cross-subsidy model, in which higher-income patients pay more for nonclinical amenities, such as private recovery rooms. Since the total charges are still far below the cost of comparable services at other private Indian hospitals, Narayana Health remains an attractive option for such consumers. Narayana Health’s business model is sustainable because of its ability to attract so many patients who can pay full price. The Wall Street Journal has dubbed Shetty, The Henry Ford of Heart Surgery because he applies assembly line concepts to surgery in order to optimize productivity, minimize costs and leverage economies of scale. Because of these innovations the average cost of open-heart surgery, as reported by Narayana Health, is less than US$2,000. The same procedure at a US research hospital typically costs more than US$100,000. Since 2012 HealthPad has worked closely with Devi Shetty. We published our first Commentary about Narayana Health and Devi Shetty’s model for affordable quality healthcare in 2013 and in subsequent years published two more. Shetty and his fellow senior surgeons have contributed over 700 videos to HealthPad’s content library, which address FAQs across 11 clinical pathways. Further, Narayana’s clinicians have featured in HealthPad Commentaries on Chronic obstructive pulmonary disease (COPD), Diabetes and Kidney Disease and Cardiovascular Disease. 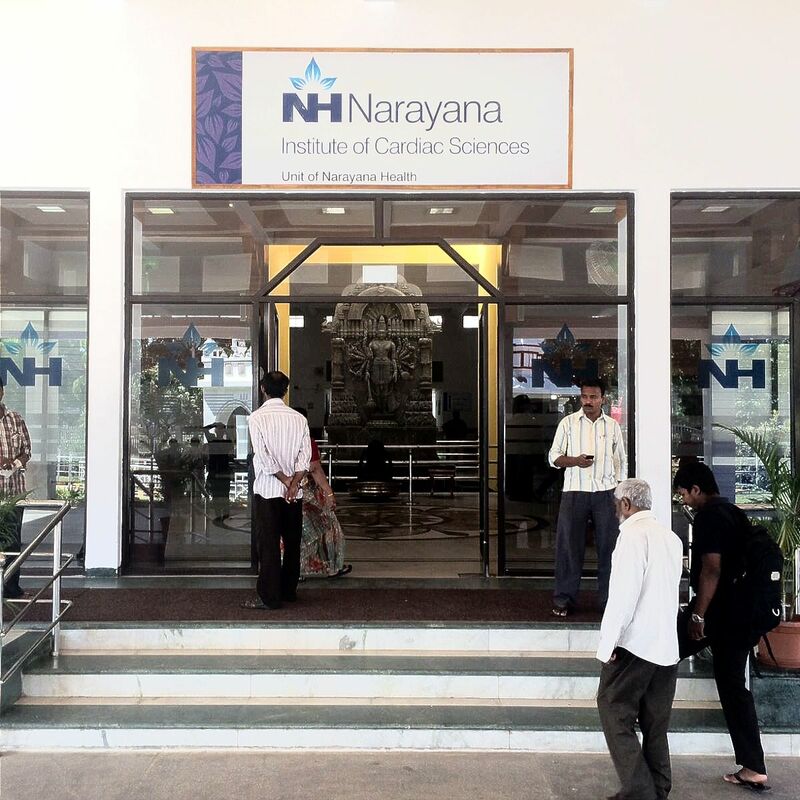 Because of the large and growing international interest in Shetty’s alternative model for affordable healthcare we re-publish lightly edited versions of HealthPad’s three Commentaries about Narayana Health. Will Devi Shetty have a major influence on global healthcare? 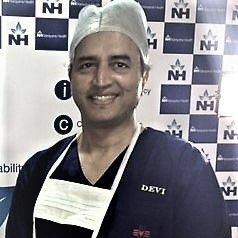 In 2011 Devi Shetty, an Indian doctor, received the coveted business process innovation award in London from The Economist for his contribution to global healthcare. Trained as a cardiac surgeon in the UK, Shetty returned to India and started a hospital in Bengaluru in 2000. Today, Shetty is on the cusp of changing healthcare in the 21st century. In 2012 Shetty launched the first in a chain of no-frills hospitals: a 200-bed single-storey clinic in Mysore, India. Built in 10 months for US$7m, it charges only US$800 for open heart surgery. Shetty rejected the multi-storey hospital model, because it requires costly foundations, steel reinforcements, lifts and complex fire and safety equipment. Much of the Mysore building was pre-fabricated. Its five operating theatres and intensive care units are the only air-conditioned places and families are encouraged to provide supplementary care for patients. 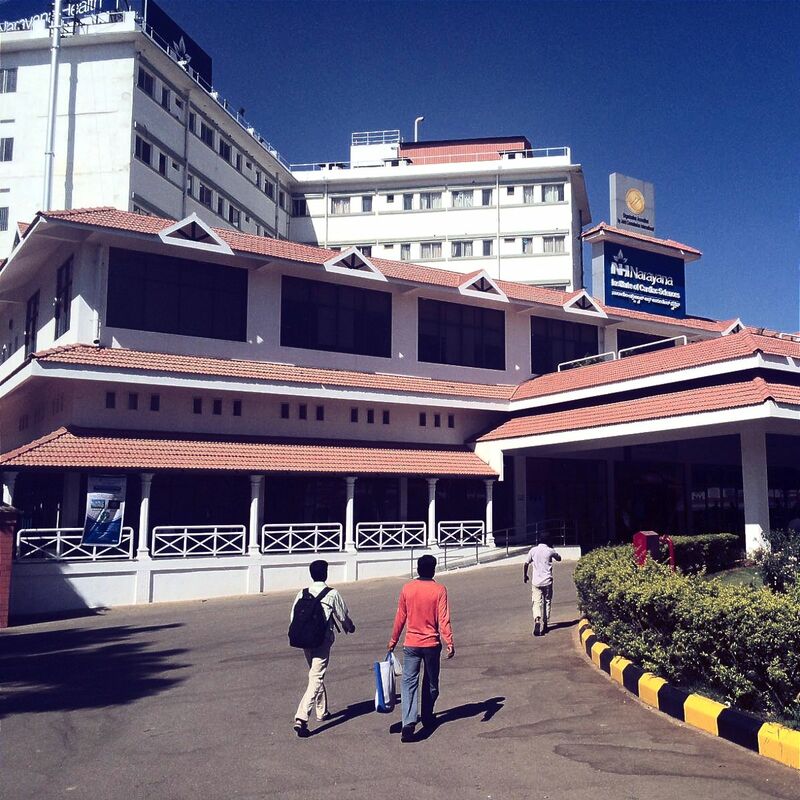 Shetty’s no-frills hospital chain owes its existence to his pioneering hospital in Bengaluru. Medicines and associated hospital costs in India are significantly lower than in the West, but Narayana offers Indian patients value for money. The average price for open heart surgery in Narayana is around US$2,000, compared to US$5,000 in the average private Indian hospital and $20,000 to $100,000 in a US hospital. Shortly after starting his Bengaluru cardiac centre, Shetty acquired a 35-acre site next door and built a 1,400-bed cancer hospital and a 300-bed eye hospital and created Narayana Hrudayalaya Medical City, which has 3,000 beds in Bengaluru and is run at near to full capacity. In total Narayana has some 7,000 beds in a number of clinics and hospitals throughout India, and plans to expand to 50,000 beds in the next five years. In association with India’s Space Research Organization, Sherry's Bengaluru hospital runs one of the world’s largest tele-cardiology programs, which reaches 100 facilities throughout India, over 50 across Africa and Narayana’s doctors have treated some 70,000 patients remotely. Narayana Health also disperses 5,000 kidney dialysis machines, which makes the company India’s largest kidney-care provider. With the state of Karnataka, Shetty has created a health insurance plan, which has enrolled some 3m poor people at an annual premium of about US$2.6. Last year, about 60% of Narayana Hrudayalaya cardiac operations were performed on patients too poor to afford the full cost. Shetty however is not a charity. His hospitals treat a cross section of patients at variable rates but refuse to turn away anyone who cannot pay. “Charity,” he says, “is not scalable. Good healthcare depends on good business.” Shetty’s hospital group earns an after-tax profit of 8%, slightly above the 6.9% average for a US hospital. Shetty has now turned his attention outside of India and is engaged in a joint venture with the government of the Cayman Islands and a group of American institutional investors, to construct and operate a hospital in Grand Cayman to capture share from the North and South American healthcare markets. The first phase, a 140-bed tertiary care facility for cardiac surgery, cardiology and orthopaedics, was opened in 2014 and benefits from the cost-effective healthcare procedures honed by Shetty over the past decade. By 2020, the Cayman enterprise, which also will have a medical university and an assisted-care living community, is projected to expand into a 2,000-bed Joint Commission International-accredited Health City providing care in all major specialties. At a time when the global healthcare debate is emphasising community based preventative strategies, Shetty’s vision is, “affordable healthcare for everyone in super-size hospitals. Today healthcare has got phenomenal services to offer,” he says. “Almost every disease can be cured and if you can't cure patients, you can give them meaningful lives.” Shetty is driven by the fact that a century after heart surgery was developed only 10% of the world’s population can afford it. Each year, India alone needs 2.5m heart operations and yet there are only 90,000 performed. "Current regulatory structures, policies and business strategies [for healthcare] are wrong,” says Shetty, “If they were right, we should have reached 90% of the world's population." Recently, he shocked a UK audience of health providers by suggesting that it would be better if England only had three centres for cardiac surgery rather than 22. Sir Bruce Keogh, the UK’s former National Medical Director of the NHS Commissioning Board, once suggested that healthcare in England should become more like retail. Shetty thinks like a retailer, views patients as “customers” and has employed mass production techniques used in the early 20th century to automate the American car industry. Known as, “the Henry Ford of heart surgery”, Shetty has demonstrated that high volume complex surgeries mean better outcomes and lower costs. Similar to what Henry Ford did for the auto industry, Shetty has disaggregated clinical procedures into a number of discrete, standardized, unambiguous units, which can be learnt, practiced and repeated. His methods have successfully reduced hospital costs, increased efficiency, enhanced the quality of care and eliminated clinical mistakes. According to Shetty, “Healthcare has huge variation in procedures, outcomes and costs . . . It is the lack of standardization that contributes to hospital mistakes, high costs and low quality of care”. Not only will Shetty’s Health City Cayman Islands be a lower cost alternative for North and South American patients, it will demonstrate how over-priced and inefficient hospitals in the West are. However, it is not altogether clear whether Shetty’s formula for low-cost high-quality surgical procedures will be effective outside of India. This is mainly because high quality ancillary services associated with complex surgeries, which are relatively inexpensive in India, tend to be patchy and significantly more costly outside of India. Notwithstanding, Shetty is determined to provide the world with a model of affordable healthcare. What is the next 'big thing' in healthcare? Healthcare has become global and digital. What do you see as its biggest challenges? Health care systems throughout the world are about to be hit by a tsunami. Dramatically escalating GP demand is driven by the growth of life-style-related chronic illness, the surge of baby-boomers, a primary-care doctor shortage in some countries, and, in America, the surge of unmet needs now paid for by Obamacare. Either the current system will seize up, or new ways of caring for patients must be found. Typically, healthcare systems respond to increased demand by adding manpower: usually nurses and other health workers. Increasing manpower reduces the potential for economies of scale in which increased volume reduces costs. Even worse, with additional workers added to a healthcare practice, efficiency actually decreases as downtime, communication costs, turnover, coverage, duplication and re-work increases. Healthcare systems must find a way to reduce the costs as they struggle to meet this surge of demand. The old manpower-based responses, which at first seem attractive solutions, are unsustainable in the long run. First, we must tap into the largest unused source of manpower: the patients themselves. Anyone who cares for patients with diabetes, smoking, or high blood pressure knows that the best plans of GPs often are not carried out despite many repeated visits to the doctor or nurse. Second, to activate patients, care support for them must be truly patient-centred. Patients need help to gain confidence necessary to take control of their own therapeutic pathways. Such a system of support requires “having your doctor in your pocket”, which should be entertaining, engaging, educational, available 24/7, continuously helpful, personalized, and safe. Third, “having your doctor in your pocket,” can only be achieved if IT is used in new and innovative ways. The most cost-effective avenue by which we can move patients with chronic illnesses to become more actively involved in their own care is through the Internet, where dramatic shifts in user interfaces, devices, and process interactions are taking place almost daily. By transferring expert knowledge to patients and thereby creating a truly patient-centred system, caring for ones’ own illness will be no more difficult than using a cash machine or mastering a smart phone. Finally, if the Internet can facilitate the transfer of knowledge from the medical system to the patient, then also it can facilitate the transfer of expert health knowledge to lower the cost of all clinical personnel from doctors to nurses to health coaches. If guidelines, such as those produced by NICE in the UK, are built into the process of care that health professionals use, we would have developed a system that significantly extends the capacity of health professionals while maintaining the safety and quality aspects of care that increasingly people expect and demand. An apt analogy is the way that today’s cockpit technology enables all pilots to be as good as the best. Through the use of technology, we can do the same in medical care. Today, healthcare is largely using IT to reproduce what doctors have done in the past. The electronic record is little different to paper records. In the evolution of any new technology, its application development goes through this stage. However, we must put IT to use in doing new things, in innovation that reduces our dependence on expensive manpower and in producing more value for less money. Making such a transition will not be easy or inexpensive. But the costs of remaining the same and trying to meet escalating healthcare demands by adding more costly inputs are higher and more threatening in the long run. We should be investing in the future, not tinkering with the present. What does the nephew of the 41st American President and the cousin of the 43rd have in common with an Indian doctor? They’re both passionate about using new technologies to provide high quality healthcare at affordable cost. Jonathan Bush, a relative of two former American Presidents, is the co-author of Where Does it Hurt? which calls for a healthcare revolution to give patients more choices, and affordable quality care. A former Army medic and ambulance driver, Bush is the cofounder and CEO of athenahealth, one of the fastest growing American cloud-based service companies, which handles electronic medical records, billing, and patient communications for more than 50,000 US health providers.